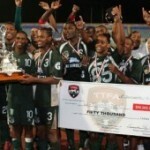 There will be no reconciliation for defending Pro League champion football club DIRECTV W Connection and its former team captain and custodian Jan-Michael Williams. But there will be no more accusations from the two parties either. W Connection chairman David John Williams and his namesake and former employee, Williams—the two are not related—told Wired868 last night that they would essentially agree to disagree and part amicably. 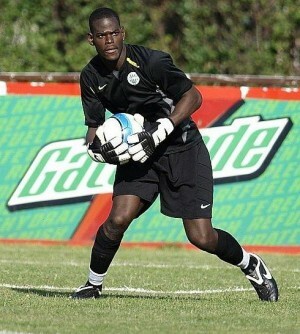 Photo: W Connection goalkeeper Jan-Michael Williams is the Trinidad and Tobago national captain at present. 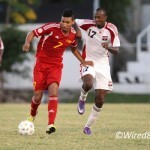 W Connection will continue to pay Williams, who is also the Trinidad and Tobago national football team captain, until his contract expires in March. “He has served the club well over the years,” said the Connection boss. “There are happy memories and sad memories. And we wish him well in the future. 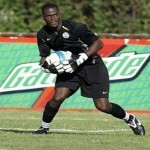 Williams, a talented 28-year-old goalkeeper, also praised the only local club that he has represented since 2002 and the Connection coach, Stuart Charles-Fevrier, who gave him his first senior cap as a professional and with the Trinidad and Tobago senior international team. It was a surprising disagreement between Fevrier and Williams that saw the latter being abruptly frozen out of the squad, two weeks ago. The two men clashed verbally during a video session, in front of the entire squad, and Williams walked out after taking exception to Fevrier’s colourful language. The goalkeeper had pointed out to his coach that he had rebuked midfielder Clyde Leon, the new team captain, for swearing during an earlier training exercise. 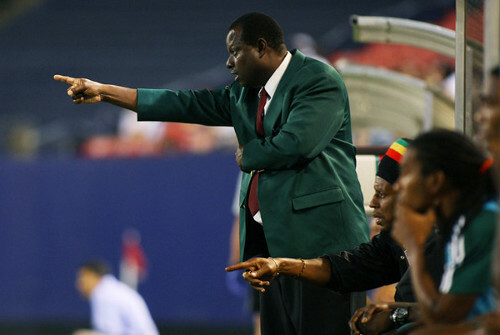 Photo: DIRECTV W Connection coach Stuart Charles-Fevrier (standing) points the way for his troops. Fevrier, the Pro League’s most successful coach, admitted to using obscene language but insisted that he did not directly abuse or disrespect any of his players, including Williams, but had been making an emotive point to his dressing room. He accused his former captain of questioning his authority and giving him an ultimatum in front of the squad by threatening to walk out. Williams was stunned when the row cost him his place in the squad but all parties agreed to a clean break. However, the goalkeeper reacted angrily to an interview by W Connection assistant coach Earl Jean, on Tuesday, and accused the club of trying to tarnish his reputation. Fevrier told Wired868 that Williams might have repaired their professional relationship if he had apologised immediately after the video session. But the goalkeeper explained that he tried to resolve the situation by holding a meeting with the Connection owner. He never got one, though. “When I walked out the (video session), I went straight to the manager and told him what happened and asked for a meeting with the president and the head of the disciplinary committee,” said the goalkeeper. The following day, even before Williams met the disciplinary committee, he claimed Fevrier told his players that he would never represent the club again. And the goalkeeper was disappointed that the Connection boss ignored his requests for a meeting. But David John Williams insisted that it would have been improper to meet him before the goalkeeper went before the disciplinary committee. And he does not regret his decision. 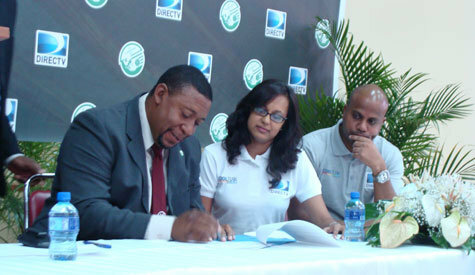 Photo: W Connection owner David John Williams (left) inks a deal with DIRECTV executives Tamara Ragoonath (centre) and another employee. “He gave the coach an ultimatum that if he didn’t stop using obscene language he would walk out of the session. But he is my coach. Connection offered Williams the option to leave the club as a free agent during the Pro League transfer window and both coach and president said they would recommend the goalkeeper to any interested party. Williams did not take up the option to move to a Pro League rival before the transfer window closed on Tuesday. It means he cannot represent another local club before 1 April 2013. Most of the European leagues have until the end of January to register players. 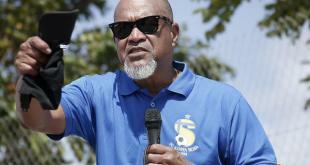 If nothing happens by then, the “Soca Warrior” will be unable to join another team until April while it could plausibly be until August before he plays another competitive club fixture. 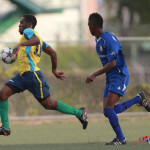 Williams hopes he does not have to wait that long, especially as the 2013 CONCACAF Gold Cup starts on July 7 and his rivals Marvin Phillip and Cleon John are in fine form for Central FC and North East Stars respectively. Photo: North East Stars goalkeeper Cleon John (left) claws away an effort from Defence Force striker Devorn Jorsling (right). John might hope to force his way into the national team if current number one, Jan-Michael Williams, loses form through a lack of competitive action. Connection has already moved on by re-signing 34-year-old Colombian goalkeeper and former employee Alejandro Figueroa on a short-term deal until the end of the season. Ironically, Connection released Figueroa, seven years ago, as a then 20-year-old Williams had begun to blossom. 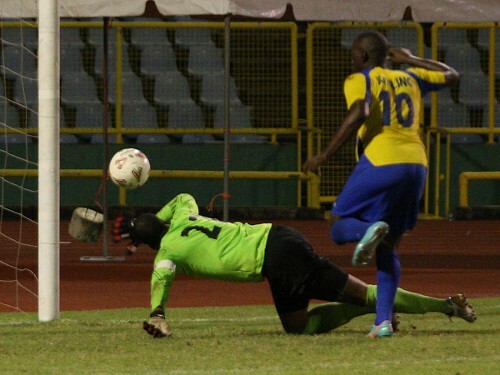 Third placed W Connection plays sixth placed St Ann’s Rangers in Digicel Pro League action from 6 pm today at the Ato Boldon Stadium while leaders Defence Force tackles second place Neal & Massy Caledonia from 8 pm in the second game of a double header.